For adults, besides the obvious benefit of learning self-defense, there is stress relief, heightened self-confidence, and above all, our program helps adults achieve higher levels of fitness which in turn promotes a long and healthy life. For children, the benefits include developing self-confidence, self-discipline and respect. Children learn to be strong and stand up for themselves while showing humility at the same time. To learn more, visit us at www.tmwkicks.com. 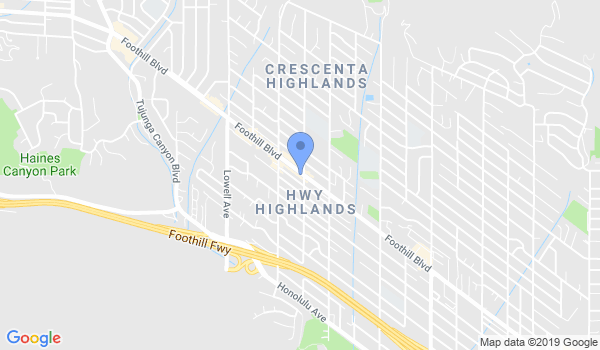 Hapkido & Tae Kwon Do classes are available in La Crescenta for children and adults. Daytime and evening classes offered all year round on various weekdays. After school Martial Arts Program, Summer & Winter Camps etc. may also be available. Please contact The Martial Way for exact class hours for different age groups. Would you like more information on hours, classes and programs available at The Martial Way? Please contact the school with your questions. Update the details, Write a Review or Report Error of The Martial Way. View all Dojo in La Crescenta or in Zip code 91214.